Last week, I was in Boulder, Colorado for a day with Celestial Seasonings. It was a jam-packed day with more tea information and tasting than I ever thought possible, from hearing about the history of the company to lots of tea tasting to a tour of the factory to learning about the creative process that goes on behind every (cute) tea box packaging you see with the iconic Sleepytime bear to tea infused cocktails for happy hour! Founded in 1969 with the mission to share the benefits of herbs, Celestial Seasonings was the first herbal tea company in the United States. They make more than 70 varieties of tea including herbal, wellness and green teas. 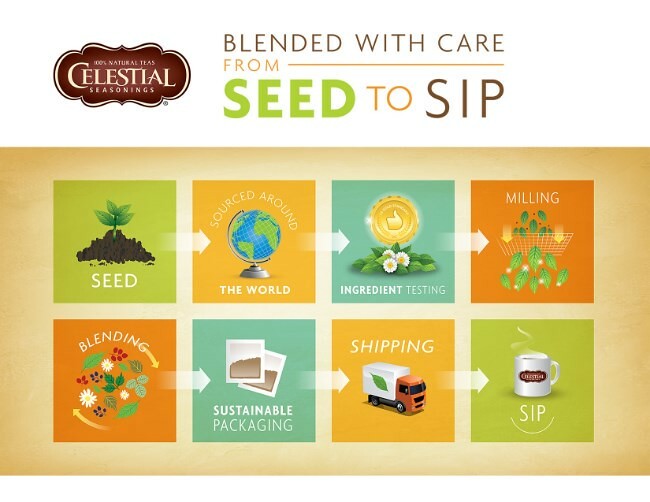 Celestial Seasonings uses natural fiber, chlorine-free tea bags that are biodegradable and compostable. Their trademark no-string bags saves over 3.5 million pounds of waste a year. The ingredients in Celestial Seasonings Teas come from all over the world, but the teas are blended in Boulder, Colorado. The average American drinks 1/2 pound of tea a year. The average Turkish citizen drinks 7 pounds of tea a year. Millennials are a huge tea drinking population. There are no negatives to a cup of tea. 80% of the tea drank in America is iced. The leaves used for green tea are the same as those that make black and oolong teas. Green tea leaves are steamed right after being picked preventing oxidation.. Black tea leaves are allowed to oxidize causing the leaves to darken and bring out a more full-bodied flavor. White tea is made from the first few tender leaves and the new buds of the tea bush. Everything is from the same plant! We spent a good chunk of time tasting teas with Celestial Seasonings blendmaster, Charlie. From different kinds of green tea to herbal teas and all their individual components. Use fresh water. Use freshly-drawn cold water as water that has been reheated gives tea a flat taste. If you’re unhappy with the taste of your tea, you may, in fact, dislike the taste of your water. Try making a cup of tea with water from a purifier or bottled water and taste the difference. Heat the water to the right temperature. Bring it to a rapid boil for black or herb tea (either in a kettle or microwave) to extract the full flavor. For green tea, the water should be hot, just to the point of boiling. Water temperature will drop rapidly, so bring your pot or cup to the stove and pour as quickly as possible. Cover your cup. Whenever possible, if brewing tea by the cup, use the saucer to cover the cup and retain the heat. Some tea mugs on the market are designed with a built-in lid for added convenience and practicality. Watch the clock, not the color. 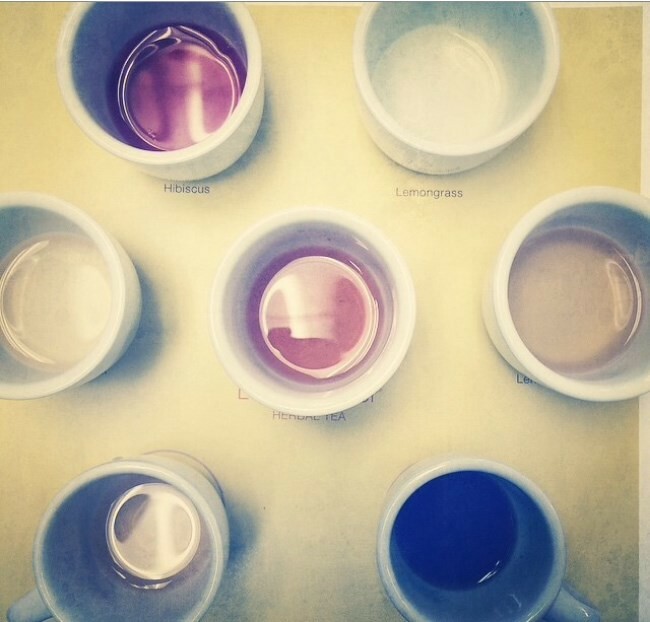 Never brew tea by color if you want the perfect cup. Some teas brew light, others dark. Always brew by the clock — Celestial Seasonings recommends three to five minutes for green and black teas, four to six minutes for herb teas and six minutes for wellness teas. Squeeze the bag. Some people have debated — to squeeze or not to squeeze. Celestial Seasonings recommends squeezing the bag. Why? Tea leaves can absorb up to seven times their weight in water and compressing the bag enhances color and flavor. So, give a gentle squeeze to the tea bag before removing from the cup. The mint room was amazing! I was getting over a cold and totally congested. After 30 seconds in there, I could breathe again. All of Celestial Seasonings mint comes from one grower in Oregon. Pretty cool, huh? I finally got to taste Candy Cane Lane and Sugar Cookie Sleigh Ride . I can now officially say they live up to the hype. The “extra” in Sleepytime Extra is valerian root. That stuff does wonders to get me to sleep, love that it’s an all natural addition. 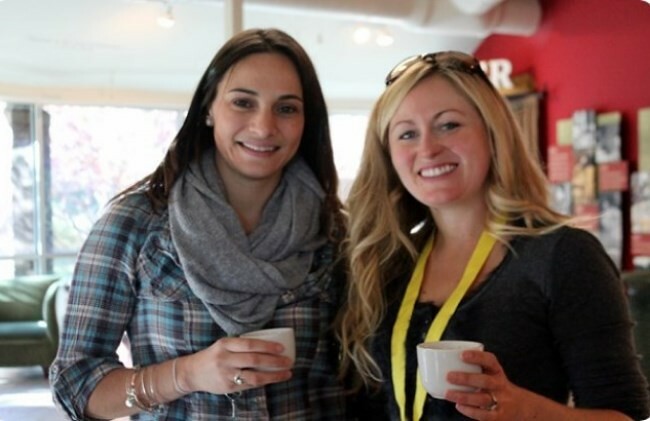 One of my favorite parts of the day was the tea infused happy hour! A local mixologist concocted some really delicious drinks for us to enjoy using some of the Celestial Seasonings teas. While I don’t have his recipes, this one from Celestial Seasonings looks great! Combine all ingredients in a cocktail shaker and shake vigorously to bring up the egg white. Once finished, add ice and shake again. Double strain and serve in a martini glass. Combine 4 tea bags (6 tea bags for Chamomile), 1 cup water and 1 cup sugar in a saucepan. Bring to a boil and simmer 5 minutes. Using two spoons, remove tea bags and squeeze out excess liquid. Allow syrup to cool and use in your favorite cocktail. *This post is sponsored by Celestial Seasonings. All opinions and content are my own. Looks like you had an awesome time! That mint room sounds amazing! I need one for my house. I love all of the facts you shared! Looks like you had a great time! Wow! I had no idea that Celestials was in Colorado, cool! And I would have lost a $100 bet because my money would have been on the Turkish drinking more tea than Americans. This brand has been around forever, and it is definitely for a reason – I my Grandma had every flavor in her tea cabinet! Wow what great tips – I never thought to cover my cup but I guess I’ll have to start! It was so great to finally meet you. 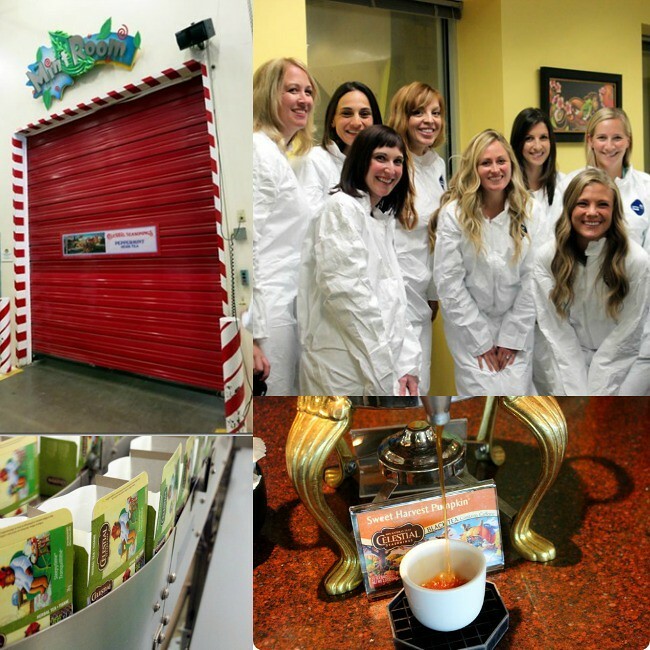 Celestial Seasonings is such a great company – I’m happy to be a part of their team too! Looks like a fun trip! I have driven by the factory quite a few times, but have never gone in. Now I really want to go for a tour! Great post! Lots of fun facts about tea, and I felt relaxed just reading it! Celestial Seasonings is one of my favorite brands of tea! Especially their holiday special teas..they’re like drinking dessert! Thanks for all these fun tea facts! 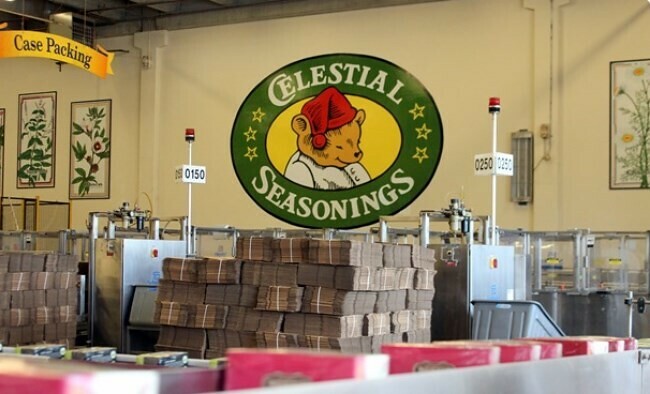 I would love to join a Celestial Seasonings tour someday. For me, it is the equivalent of Charlie’s trip to Willy Wonka’s chocolate factory. Celestial Seasonings was my favourite company until I realized their ingredients included “natural flavourings” which made my teas crazy sweet though I added no sugar.